Tender fronds Arctic current nurtured off Hokkaido. Widely used in soup stock and 'dashi' noodle broth as a flavor enhancer. Add a piece to beans or root vegetables for improved flavor and a softer texture. Low sodium and fat free. Kombu, also known as kelp, is a sea vegetables of the 'Laminaria' family of which there are more than ten species. Eden Kombu Laminaria japonica is a dark greenish brown sea vegetable with thick, wide leafy fronds that grow in the waters off the southeastern coast of Hokkaido, Japan's northern most island. This type of kombu, known as 'Ma-konbu', is highly prized. 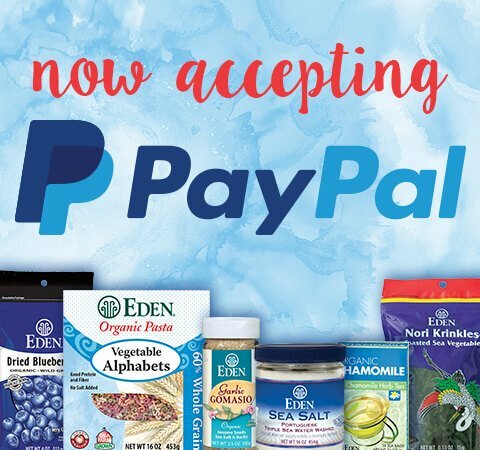 not only for its abundance of essential minerals, vitamins, and trace elements but also for its natural glutamic salts that make It makes an excellent flavoring agent. Kombu contains the amino acid glutamine, a naturally sweet, superior flavor enhancer. 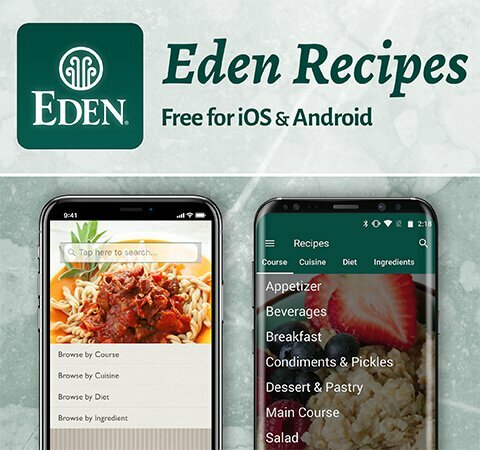 Eden Kombu Sea Vegetable grows wild in the clean, cold northern waters where the choicest grades of kombu grow bathed in steady Arctic currents. 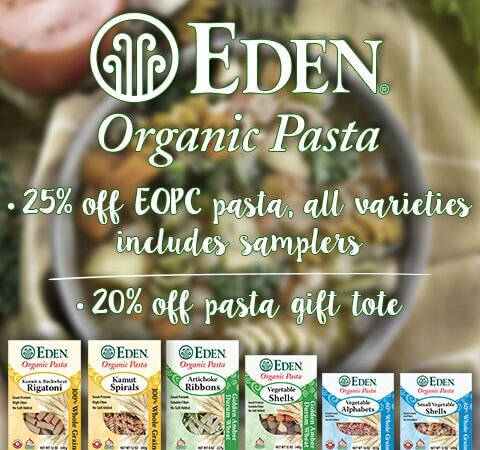 Eden selects only the tender central part of the plant that has the best flavor and texture. The fronds are hand harvested using long poles with knives attached to cut the kombu free from the ocean bottom. As the kombu floats to the surface it is gathered into boats and taken ashore. The fronds are washed, folded and naturally sun dried on the white sand beaches before cutting and packaging. Lesser grades of commercial kombu are cultivated artificially or simply gathered from the beach after washing ashore. Many are sprayed with chemically produced and toxic monosodium glutamate (MSG) to make the kombu more tender. 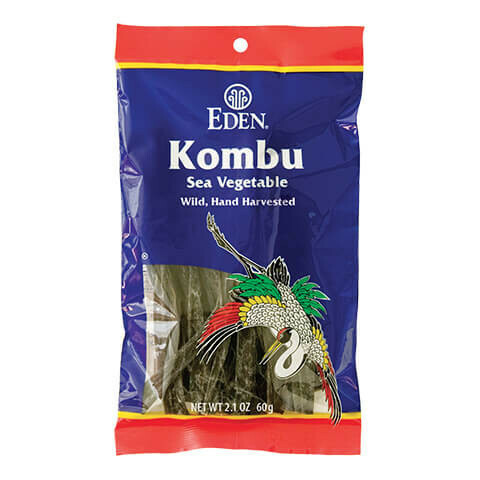 Eden Kombu grows wild and is gathered by hand from the sea while the plant is still living. Eden Kombu Sea Vegetable is most frequently used to make the delicious Japanese noodle broth, dashi, seasoned with shoyu soy sauce. It can be used, however, to make a variety of soup stocks. Simply place a strip in a pot of water and bring to a boil. Remove the kombu after 4 to 5 minutes and discard or chop and use in other dishes. Vegetables, herbs, spices or fish can be added to the stock after removing the kombu. Kombu can also be soaked, chopped and simmered with carrots, onions, squash, daikon or other sweet vegetables. A small piece of kombu added to dried beans, helps to tenderize them as they cook.